First and foremost, I would like to say congratulations on being accepted to UC Davis! I am sure you may have some anxiousness about the road ahead, but remember that you have earned these opportunities for yourself through hard work and dedication. In honor of Decision Day, I will share with you all my story of how I ended up at UC Davis. In being asked to consider why I chose Davis, I had to really take myself back to my senior year of high school, which was a strange time all around. With college just on the horizon, I dealt with a lot of complex feelings about the path before me. Choosing where in the world you want to go to grow academically and develop yourself as a person is truly not an easy task and I vividly remember how this weighed on me. I remember feeling it was such an impossible decision to make, yet so many people take this step and move away for school. How is it normal to leave all that you have known for the first 18 years of your life, just like that? While it might sound a bit dramatic, these were my authentic feelings at the time. Another aspect that made it such a difficult predicament is how I felt so many options were available to me. I worked especially hard in high school in order to receive better grades and thus better scholarship offers, as I did not want to limit myself due to finances. Additionally, as an L.A. native, I applied to mostly schools within California and a handful of out-of-state universities. In the end, I felt deeply split between two UCs: Santa Barbara and Davis. I know, this story might seem rather anticlimactic in hindsight, as we know where I ended up in the end, but at the time I was unbelievably torn. I had visited Davis in years prior when seeing a family friend who was an alumnus and employee of the university. I remember how quickly the town and the campus grew on me. The deep greens that Southern California largely lacks and the overall feel of the town resonated with me deeply. 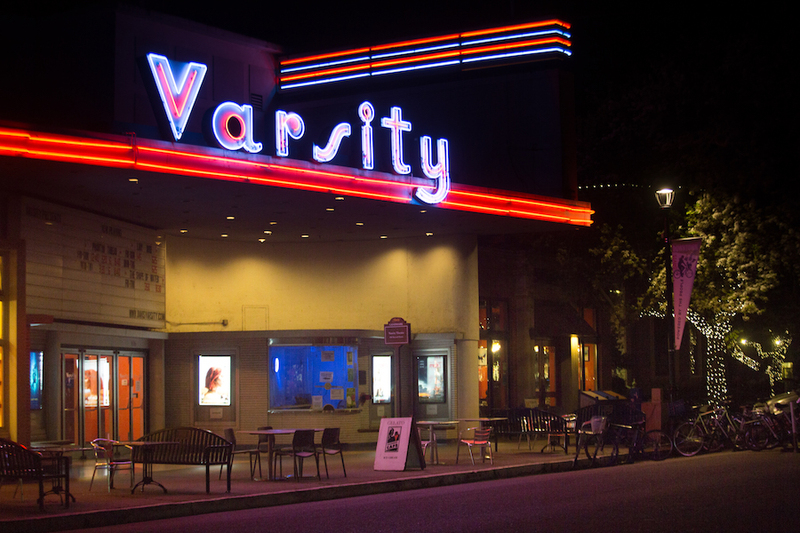 We went on a campus tour, saw a movie at the Varsity Theater downtown, and walked next door for some gelato and people watching. It’s a small yet crystal clear memory that was very impactful to me. However, I still had my doubts and the distance was also quite daunting, as Davis was 400 miles from my family, friends, and home. Now on the other hand, there was UC Santa Barbara. UCSB seemed like a pretty perfect location — far enough from home where I could establish myself and have enough distance to do so, but close enough where I could take weekend trips home when needed. Also, I had received a great scholarship offer from them which, to a lot of people in my life, seemed like a telltale sign that I would commit to UCSB. This new feeling of expectation only worked to further complicate my feelings. I remembered talking to my sister, who seemed like one of the only people who could see that Davis held a special place in my heart. I told her how one of the hardest parts of this decision was that I felt I could really build a place for myself at either school. I knew that I was quite adaptable, and I could envision these two different lives for myself. These talks with my sister gave way to a new perspective that explained why I felt so torn — this decision bottled down to whether I would be true to myself or go along with what was expected of me. This crossroad marked a pivotal moment that would affect me more than anyone in the long run, so why was I so concerned with other people’s feelings? I knew then that, if I were to choose UCSB, I would likely feel some sort of guilt for not listening to my gut. friendships with people from all over the world. Every time I had a gap between classes during my first fall quarter, I would bike through downtown Davis and allow myself to get lost so that I could learn the layout, see what’s there, and eventually know Davis like the back of my hand. Even in difficult times, as I stressed about choosing a major for instance, I felt grounded and supported by the campus community. For me, choosing to go to Davis came down to a matter of principle and heart, and it was one of the best decisions I ever made. As my own college experience comes to a close, I would like to offer a word of advice to all incoming students, from one human to another. As you take this leap into higher education, I hope that you remember to take chances, ask for help when needed, and always lead with your heart. Community.To me, that is the word that best encompasses my choice of coming to UC Davis. To be completely honest, when I was completing the UC applications, I selected Davis as an option before I even knew where Davis was! However, when I got my acceptance offer, I did lots of research and became extremely interested in its programs and recognized status and knew that I wanted to learn more about Davis. When notifications came out with information on Decision UC Davis, I had narrowed my options down to two schools. My family and I decided that traveling from Southern California to Northern California would be a lovely little trip, so we RSVP’d our way into Decision Day 2016. Apart from the realization that UC Davis was a giant university, Decision Day provided me with an overwhelming feeling of calm. It was a beautiful April day, there were constant tours with enthusiastic guides, tents for the different colleges, presentations, and a multitude of welcoming individuals that I am sure you are all anxious to meet! Being able to have direct contact with my peers, administrators, and other current students, I was able to have so many important questions answered, and it just put me (and my mom) at ease. I learned about student housing, downtown Davis, campus traditions, as well as the different programs available to students in my major and college. By the end of all the tours, events, and visiting time, I was ready to sign the SIR! The distance of the school to my hometown was perfect, everybody seemed so nice, and I knew that there would be an endless amount of resources available to help me succeed. I hope all you prospective students reading this feel the same way! After three years of being in the College of Biological Sciences, I am so happy with my decision to come to Davis. I made so many friends Freshman year and learned so much about myself. I continue to be challenged every quarter but through campus organizations, faculty support, and different resources on campus like Biology Academic Success Center, I have felt at home here. I hope you all get to share the same experience at Davis and come visit Decision Day to see Davis in all its glory. When I was admitted into UC Davis in 2015 as a Genetics and Genomics major, I wasn’t really sure what to expect. I knew no much more than it was one of the top schools in California with the nation’s best animal science program. Besides, I went to high school in Taiwan, so I never had a chance to tour the campus before the actual orientation. My first impression of UC Davis was that it was a huge school with a flat landscape and bikes everywhere. It reminded me of a huge city park in Taipei (the bikes, squirrels, trees, and grass areas). Now in my junior year, I will say that I really enjoy my experience in UC Davis. I love the place, the people, and my major. There are many opportunities in UC Davis to explore your passion and to develop yourself professionally and spiritually. Although there were definitely hard times in college, I was able to make through with the support of friends and community. – There are many animals on campus. One night, I saw an owl standing on my path when I was walking back to the dorms. My favorite animals are the cows next to Tercero and the lamas at the Vet Med Teaching Hospital. – When I am tired from school and studying, the Arboretum is a great place to walk around and relax. – Enjoy stargazing in summer nights when the air is dry. (It is very safe to stay on campus at night. If you have late classes, Safe Ride can bring you home – on campus or off campus). 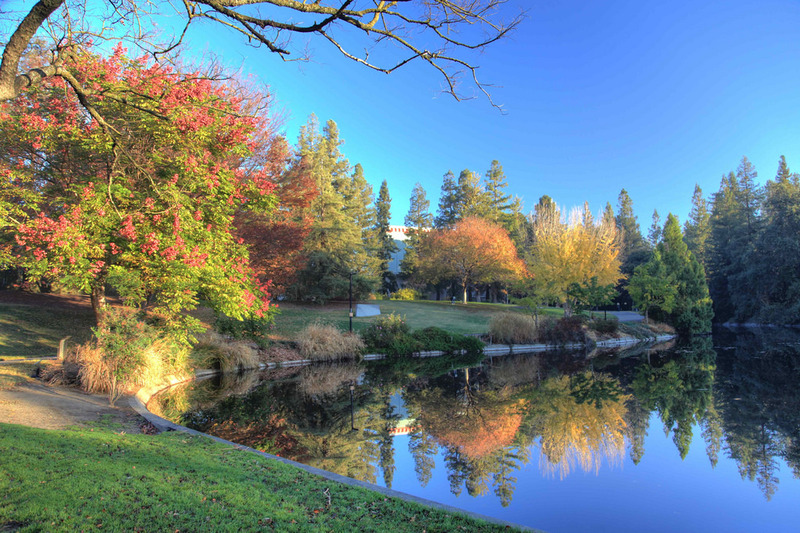 – Besides classrooms equipped with visual and audio learning devices, UC Davis has one of the best plant facilities and animal facilities. Students can also spend a quarter or a summer to take marine biology courses at the UC Davis Bodega Marine Laboratory. – UC Davis has a Health Professions Advising Center (HPA) for all pre-health students. I cannot count how many times I went there for creating timeline, for discovering internships, and for writing a personal statement. The advisors are all very welcoming and knowledgeable. Besides HPA, the Internship and Career Center is also a place that I visited a lot to get my resume reviewed. I also signed up for their email listserve to get weekly updates on new job and internship opportunities. – UC Davis Medical Center has 8+ affiliated student run clinics. Undergraduate students can volunteer in the clinics, shadow doctors, and gain hands on health care experience. This is a very unique opportunity that not many other universities have. Currently, I am involved in Paul Home Asian Clinic, which provides health care mainly to underserved Asian community in Sacramento. By translating and accompanying the patients, I learned more about the health care barriers they faced, and how doctors could help them achieve better heath. Health Related Internships are also offered in the UC Davis Medical Center and Sutter Davis Hospital. The sign up for those internships is very simple, and there are always spots available every quarter. – UC Davis is a research university. We have an Undergraduate Research Center, and an annual undergraduate research conference every April where students present their research projects. Many students in UC Davis participate in some kind of research, and I’m sure there will be something interesting for you! – Joining a student organization definitely made my time in UC Davis much more fun. There are more than 800 student clubs on campus, and you can even found your own club. – Check out Picnic Day and Whole Earth Festival in spring! I can’t even explain how much I love those events. You will have to experience the energy and enthusiasm yourself. As a student in UC Davis, you have the chance to take a step further and apply to be volunteers or even directors of these campus-wide events. At the Picnic Day of 2017, I volunteered at the chick petting room, and it was the one of the best days I had in UC Davis. – Discover something fun and unique for you! I joined the Global Ambassador Mentorship Program as a peer mentor in my second year. As a peer mentor, I worked with a group of 5 international students, guiding them in their first few quarters in Davis. In the three quarters I got to meet with so many amazing people from different backgrounds, and we still kept each other in contact until now. Here’s a picture of us at the Thanksgiving Dinner gathering in 2016. After all, congratulations on being accepted to UC Davis! Become an Aggie, and you will love it! With my love for beaches and obsession with tacos, I’m definitely a socal girl through and through. I like giving freeways their intended articles and cringe at the word “hella.” So, why did I make the 500 mile move up to Davis, two hours away from the closest beach and with only two ‘Taco Tuesday” options in town? I didn’t know how to ride a bicycle, so I can’t say that I drawn in by being in “The Bicycle Capital of the World.” I didn’t know that it was a small town, so I can’t say that I was attracted to its close-knit community. And, I didn’t know that it was so environmentally friendly, so I can’t say that I was impressed by the organic beauty of the nature around me. What I did know was that I had an upperclassman friend already attending, it was definitely far from home, and part of the distinguished UC system. I can’t say that I had the strongest reasons for attending, but when the time came, I submitted my SIR to UC Davis and committed to spending the next four years of my life in norcal. I was unable to attend Decision Day, so my first encounter with Davis was orientation. I remember driving through downtown Davis and stopping to walk onto campus. My first thought was, ‘Wow, there are so many trees.’ Coming from a suburban area with dislocated palm trees evenly spaced between street intersections, I was amazed by the sheer abundance of greenery and how whimsical all of the homes seemed. I fell in love with the tranquility and vastness of the campus. It probably helped that it was around one hundred degrees outside, and the shade provided was the only solace from the blistering heat, but I was awed. The heat never bothered me anyways. Day one of the program, nothing could have prepared me for the nearly five hundred student filled lecture hall. Honestly, I shied away from the large group interactions and was a little intimidated by the thought of trying to pave my own path from the rest. But, as we we broke off into smaller groups, I was given the sense that students at Davis were very accepting, encouraging, and laid-back. Two years later, I was back at orientation, not as an attendee but as an orientation leader. I really hadn’t given thought to how much I appreciated coming to Davis, until I saw the new, young faces and couldn’t help but feel so excited for their futures here at Davis. I was eager for them to find their spaces and realize that they were in a place which would foster their growth, both socially and academically. As a STEM major, it’s an unfortunate, but common, stereotype that students are cutthroat and competitive; however, during my three years here, I have found so much support from both my peers and academic resources. It’s always been clear to me that my professors want me to succeed in their classes, and I might be biased, but I think that I’ve met the nicest people I’ve ever known here at Davis. I have been able to immerse myself in a variety of extracurricular activities, ranging from peer advising students to visiting the elderly to providing medical care for the homeless. There are so many opportunities available to students, free of prerequisites and open to all who are interested, including health related internships, study abroad programs, and numerous clubs and organizations. Attending UC Davis has been one of the best decisions that I’ve made, and I can say with confidence that I have no regrets. College is a time where it’s easy to become overwhelmed with the transitions of life: to higher education, to adulthood, and to taking more responsibility. Being able to grow into who I am at UC Davis has given me the opportunity to pursue what I’m interested in while continuing to appreciate the little things in life. Surrounded by kindness of my peers and the simplicity of pausing to watch the beautiful sunset or taking a detour to amble through the weekly Farmer’s market, I have been able to take life at my own pace and, in that way, succeed. The beaches of socal will forever be near and dear to me, but Davis has shown me the quaint beauty of norcal. I am from Napa, just an hour West from Davis, so unlike many out of state and even SoCal students, I knew the town of Davis existed before applying to colleges. Additionally, my dad went to Davis, so the University was familiar to me as a good school with a strong biology program. Since I was sure that biology was what I wanted to study, Davis was an obvious option for me. I think that because of this, I was less than excited about going there. It seemed too predictable, safe, and not too much different from my hometown. According to the published freshman profile, I thought I would be a shoo-in based off my high school GPA and SAT scores. To my surprise, I was waitlisted – something I was not too happy about, but because Davis did not excite me too much to begin with, I shrugged off the unexpected “soft-denial” and focused on my out-of-state private school options. I had researched them thoroughly and applied to about 10 different schools across the country with good biology programs. My favorite was Trinity University in San Antonio, Texas. I flew to their admitted freshman decision day event with my mom and had a wonderful experience. The campus was small, but beautiful, and I was impressed by the organization of the event and the city of San Antonio. Shortly after coming home to Napa, I received my acceptance to UC Davis and now had another option to consider. This time I started to think more practically about Davis. On one hand, I was excited about the idea of living in a totally different state on my own, and I really connected with the atmosphere of San Antonio. However, the convenience of living an hour from home was undeniable, especially because I had a sizeable menagerie of exotic animals still living with my parents that I wanted to continue to care for. I would be able to go home for nearly every holiday, and while tuition was comparable, the cost of travelling to and from Texas a few times a year needed consideration. In the end, my decision to attend Davis was a combination of financial reasons, convenience, and some convincing by my high school friends who were attending Davis. While I was not unhappy with my decision, I was not excited about the university in particular. My outlook on Davis changed dramatically once I started to get to know the school and the city better. The more time I spent exploring Davis, attending classes, and meeting new friends, the more I learned to love the school and the happier I became that I chose Davis over Trinity or any other school. This trend continued and in my 3 years at Davis I have never regretted choosing UCD. Not only do I appreciate the city of Davis more than I ever thought I could, but with more time I spend here, I also appreciate the time I get to spend with my parents in Napa. Like most graduating high schoolers, I was ready for a change in atmosphere and sought independence from my parents and from my hometown. Now that I have that independence, I value the time I get with my parents – the support, free meals, and of course being able to see my dog and cat way more than I ever would have living in a far-away state. The quality and diversity of courses, magnitude of on-campus research, and a wonderful girl I met in the dorms are all more reasons I am glad I chose Davis over other schools. In summary, I was apprehensive and never sure of my decision until I got to Davis and started experiencing the Aggie experience, and since then I have never looked back. When you start out at UC Davis, the experience is new, no matter who you are. Whether you are a first year fresh from high school near or far, a transfer student, or a returning student that took some time off, getting acclimated is a hardship that everybody struggles with. Now, for some, the period of hesitation before fully diving into what college has to offer can be a little on the longer side. That’s OK!! Getting your footing is not something to push too quickly. Take your time, and follow these quick tips for the best transition into the life of an Aggie. First: It is NEVER too early to make an academic plan. Now, you may be thinking, what is an academic plan and how/where do I make one? And let me tell you, you are not alone. So much information is relayed during orientation, that it is almost impossible to catch it all. So, here is what you do. Open your Oasis file at oasis.ucdavis.edu and sign in with your Kerberos ID and passphrase. In another tab open up your specific College’s Majors page and find your major’s requirement list. (hint: another way to do this is by using the catalog.ucdavis.edu resource which allows you to select “Degrees and Programs” on the lower left of the home screen. Scroll to your Major by alphabet and boom! There you have it. Once here, hit the blue “Submit a New Form” button on the right and scroll to the “Academic Plan” option from the list of options. Now, you will have a blank canvas for you to input all of your major required courses, minor courses, GE’s etc, so that you can efficiently plan out your time. No more going into Pass Times blind! Just type in a course code and off you go! *Don’t forget to save it when you are done so you can go back later! Ok now for the Second Tip: It is never too early to consider doing a Minor. If you find something you like, plan out the required classes in your Oasis plan! Often times, minors can fulfill some or most of your required GE credit as well so talk to a major advisor and consider your options! Finally, we reach Top Tip #3: Go to the Involvement Fairs, Dorm Floor Dinners, and get involved with your Peers! Often times, acclimating to a new environment is best accomplished through finding people with common interests. Find out what is available. Our campus has hundreds of student-run and community-sponsored organizations to be a part of. Whether it is associated with your major, cultural identification, hobbies, minor, or something you have never thought about being involved in before, being a part of a club or other social system is always a good route to take. Get to know your neighbors! When moving into the dorms or a new apartment, when starting a new quarter/class, or when signing up for a new club, meet the people around you. Making connections to other students and faculty is a major force in making UC Davis home. To wrap this up, if you have kept with me to this point, I want to say that you can do it! Starting at a new university is difficult for so many people and for a variety of different reasons. Share your experiences with friends, family, other students, your neighbors, advisors, you name it! Here at UC Davis, we are always looking to offer you as much as we can in order to make this the best campus possible for everyone. Let us help light the way for your most successful college experience! Congratulations on being accepted to UC Davis! You should be very proud of all of your accomplishments so far. Know that this is only the beginning and you are well on your way towards even greater things in the future. Deciding which college to attend can often be a difficult decision. 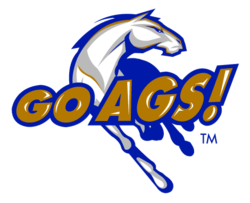 Below, I write about what makes UC Davis so unique and why I am so proud to be a part of the UC Davis Aggie family. Throughout high school, I would always avoid the question as to which university was my “dream school.” Having grown up in California, specifically the San Francisco Bay Area, I always dreamed of attending a college in the University of California system. I never wanted to specify which particular University of California campus because in all reality, I had no idea how to decide. I didn’t really know what to look for when touring campuses. With the excitement that comes with getting accepted to different colleges, it often makes the decision even more difficult. I encourage you to take the time to reflect about things that you value as well as what you would like to accomplish/ the experiences you would like to have during your undergraduate career when deciding which college you would like to attend. During spring break of my senior year of high school, I went on campus tours of some of the universities that I was accepted to. This was round two of campus tours because I tagged along with my older sister (4 years older) when she was in the process of making her college choice. She ended up attending UC Irvine. As a 7th grader, college was the last thing on my mind. In all honesty, each university tour seemed very similar where the tour guides would show you some buildings on campus and point out how the university was ranked highly in a particular subject etc. This all changed when I toured UC Davis for the first time. It may sound like a cliché but it was honestly “love at first sight,” or in this case, “love on first tour.” Talking to various UC Davis students, I was impressed with how it seemed like each student genuinely loved UC Davis and the campus community. I was struck by the fact that everyone was so friendly. You’d be surprised but to this day, I still remember some of the interactions that I had on that tour. It was the little things that really made an impression. 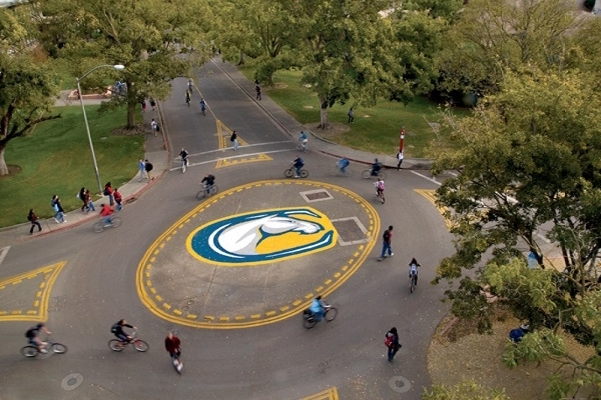 For example, one student waited that extra minute to hold a door for my family to enter the ARC or when a group of students came up asking my family if we needed help with directions, noticing the puzzling look that we all had as we looked at a map of the UC Davis campus. It was little things like these that set UC Davis apart from other college campuses. I really feel like there is a strong sense of community here on our campus. You don’t realize how important little things like these are until you find yourself on other college campuses where things like these occur less frequently. I am now entering my last quarter at UC Davis, majoring in Neurobiology, Physiology and Behavior with minors in Chicanx Studies and Spanish. Choosing to SIR to UC Davis is one of the best decisions that I have made. These past four years can attest to that. Our campus offers many unique opportunities to get involved on campus. For students interested in pursuing a career in the healthcare field, UC Davis has a number of student run clinics affiliated with the UC Davis School of Medicine. These clinics offer students the unique opportunity to get hands on clinical experience, both through patient interaction and non-direct patient care such as taking vitals. Additionally, UC Davis offers numerous opportunities it offers students to get involved on campus and to study elsewhere through programs with UC Davis Study Abroad. I’ve had the opportunity to study abroad in Mexico with UC Davis Study Abroad and also interned in Washington D.C. with the UC Davis Washington Program. For more information on these programs, please visit these blogs that I wrote about my experiences. Studying abroad in Mexico is most definitely one of the highlights of my undergraduate career here at UC Davis. A common concern that students in the College of Biological Sciences have is that studying abroad will cause them to fall behind in their classes. As long as you plan early in advance, studying abroad is a possibility. I discussed my interest in studying abroad with my advisor during my first year mandatory advising appointment. At that time, we made an academic plan to include the quarter abroad program. I wish you the best with your future endeavors. All of us here at the Biology Academic Success Center are here to support you both through your college decision process as well as hopefully, throughout your undergraduate career here at UC Davis. Go Ags!